What Is Burley Tobacco E Juice Like To Vape? When you vape Burley tobacco ejuice you will experience a rough, coarse and deep unsweetened tobacco flavour fill your mouth. It's not for vapers that have a sweet tongue but will satisfy those among you who prefer a more ‘dirtier’ tobacco taste that's close to the real thing. A strong, slightly acidic, tobacco taste on inhale with a rich dark tobacco flavour on exhale. If you prefer raw tasting tobacco then Burley is definitely for you. Is Vaping Burley Tobacco E Juice Vegan & Vegetarian Safe? 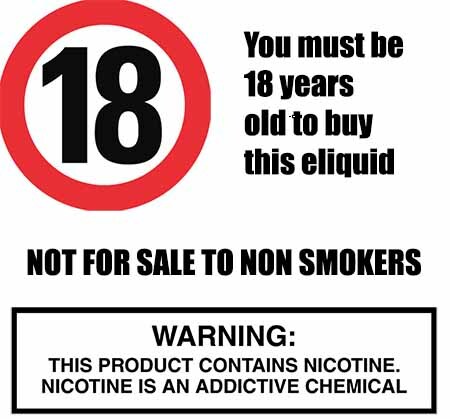 We wok hard to make sure all our tobacco e liquids are gluten free and suitable for vegetarians, and vegans. You can rest assured when purchasing this e liquid flavour that it contains only the purest ingredients.